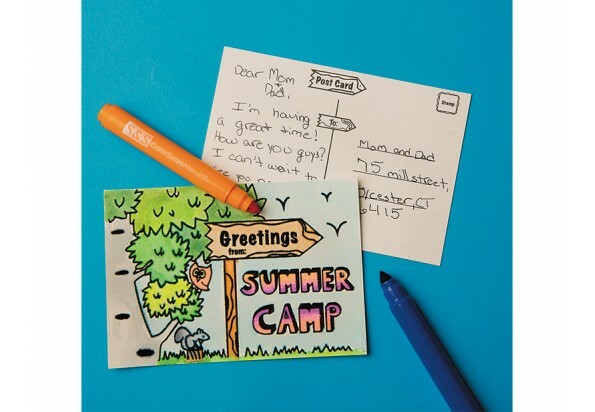 Velvet Art Summer Camp Postcard(PS1396)-Paper items-台州山水工艺有限公司官网,山水工艺,台州山水工艺,仙居山水,台州山水,Taizhou Mountain & River Art and Crafts Co.Ltd,Registered and established in 2006, Taizhou Mountain and River Crafts Co., Ltd is a storage trading company, also is the only one Sino-U.S. joint venture in Xianju County, which was jointly set up by the U.S.-based S&S Worldwide and Xianju Yikai Crafts Co., Ltd.
Campers can color the velvet design with markers, crayons or colored pencils, and write a note on the back. Imagine the smiles when it shows up in the mailbox at home! Standard USPS postcard size (6" x 4-1/4"). Space for message, address and stamp on the back.